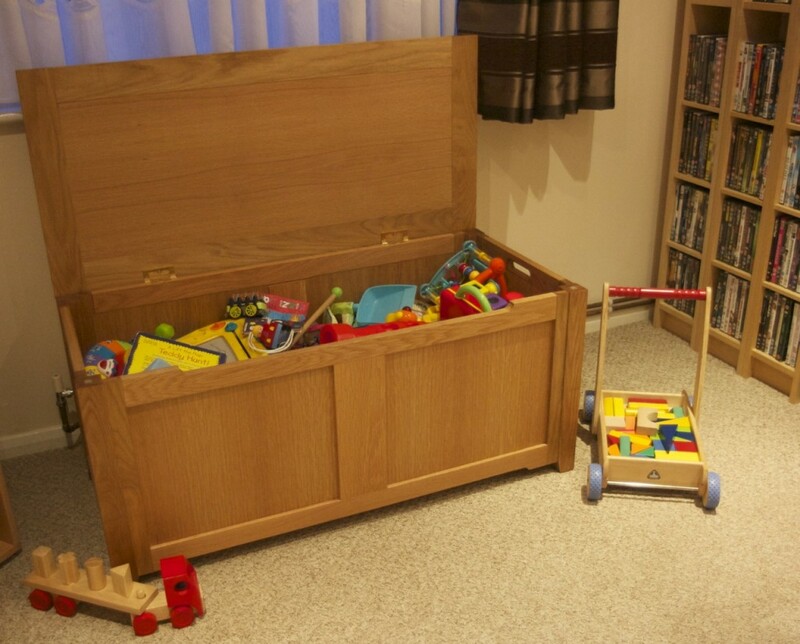 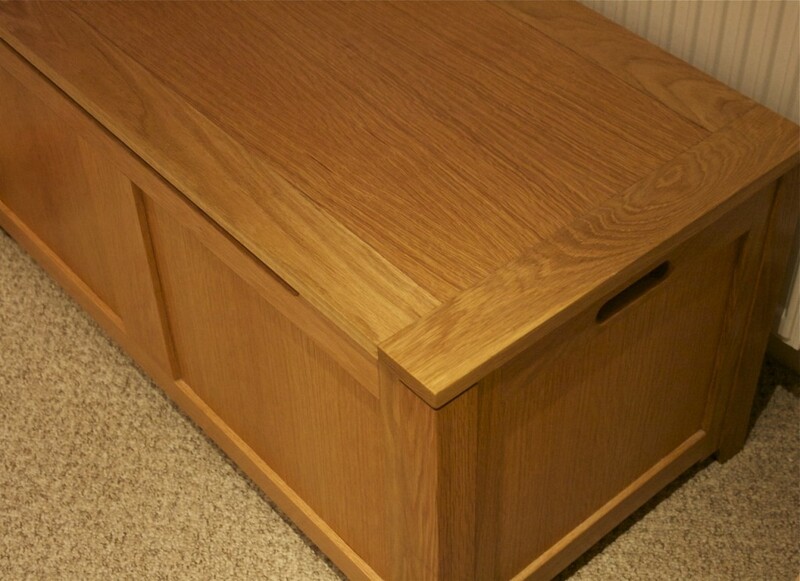 This large oak toy box was made for number of uses, its main being the toy box. 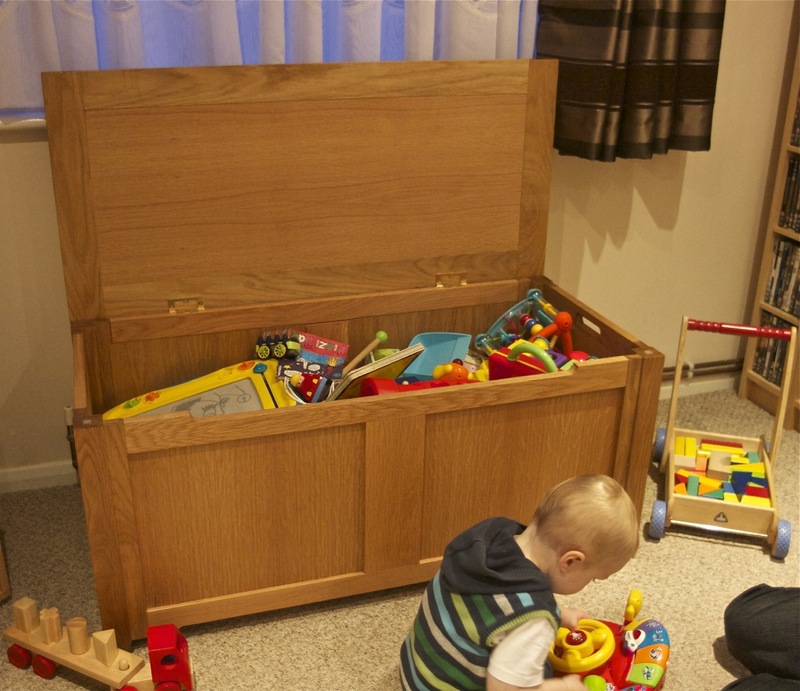 Having the box in the lounge the client wanted it to be an easy answer to clearing all the toys quickly away, its second use was to be sturdy enough to use as a double seat with the addition of a throw. 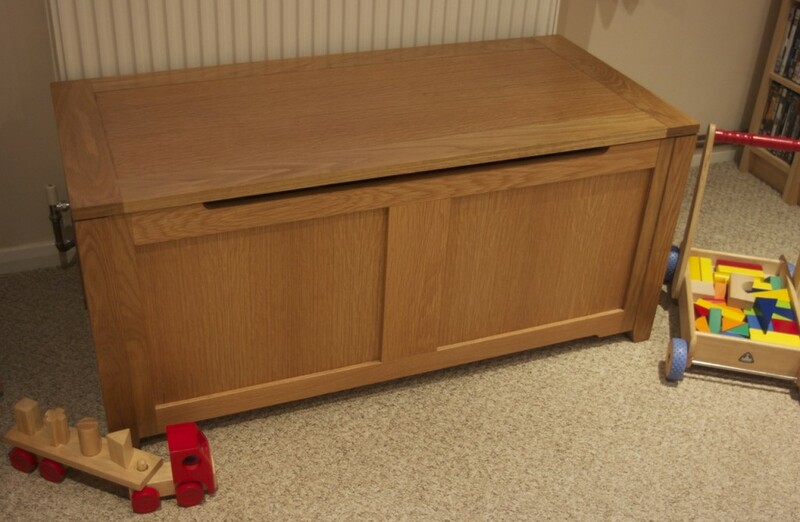 Third of all it was to be an ottoman for when their child grows up and will have the piece at the bottom of his bed, for blankets school work and general use.